Finding the right information about security cameras can be a challenge for businesses because there is so much information available. Many companies tend to list products on their websites including a description of their specifications and sometimes even prices. When choosing a camera system for your business, reading about a product doesn’t cut it. Business owners need answers that get to the point, are easy to understand, and help them make the right call. Finding the right security camera system goes hand and hand with finding the right company for the job. These are some key points to keep in mind when finding the right company and system for your needs. Why are site surveys important? So, site survey simply means that a consultant/project manager visits your business, talks to you about your security goals, and your specific concerns. This is a good opportunity to ask questions and establish a budget. Waiting until you receive a formal proposal to inform the company you have a budget will create redundant communication. On the other hand, being completely open about your business needs will show that you are serious and have taken the time to do research. Let’s face it, many companies make it seem like it is very simple to buy and install your own camera system. Initially, this option might be cheaper, but buyers are in for a big surprise. They don’t tell you that this system is basically a “one time purchase”. Who will fix the system if it malfunctions? Do they provide maintenance services? Can you find and replace parts easily? Will the replacement parts be available when you need them? Do they have reliable customer service? Will that company be there in five years? The main difference between security companies and DYI systems is that companies are not interested in selling products but in providing full service with long-term results. A professional company will be familiar with your business and will work with you to achieve your security expectations. Basically we are talking about resolution here. Do you remember seeing those cameras where face features are unrecognizable? Those are older versions are analog systems. Not very helpful anymore or ever, really. Most high definition systems now range from 420 pixels to up to full 1080 pixels. The larger the area you want to cover, for example warehouses or parking lots, the more resolution you need. Choosing a high resolution camera will reduce the amount of cameras you need and the cost of the system itself. Do you live in the Chicago area? If yes, you often experience drastic weather changes, and so will your camera system. 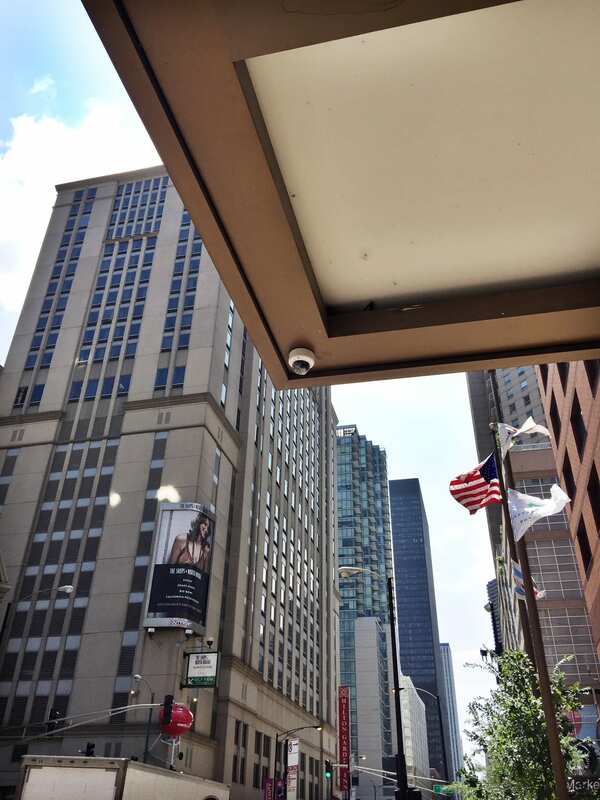 If your camera surveillance system will be placed outside, weatherproof cameras are a must in Chicago. It will prevent your cameras from extreme rain, wind, and snow. You can also consider placing them under an area that is sheltered to give them additional protection. There are two main types of lens: varifocal and fixed. For cameras with a fixed length lens, measuring for field of view must be precise. Once the camera is installed, what you see on the screen will be its only focus. A camera with an adjustable lens will give you greater flexibility, as its flexibility will give you more coverage. The lens’ size and width will determine what you can see on the security cameras. The larger the lens size, the farther you will be able to see. Acquiring a camera system doesn’t have to be difficult, you just have to do some research and pick the right company so they can give you the best advice. Before you reach a decision, consider local businesses. There are many local security companies that are like gems among their large counterparts. previous post: What You Need to Know Before Installing Access Control in your Property?